HTC EVO 3D EXTENDED DOOR SPRINT. You are only allow to checkout once. No exceptions. HTC Evo 3D. UNBEATABLE VALUE. Compatible With Phone Batteries. New Digital Energy Extended Battery for HTC Evo 3D. HTC EVO 3D 4G SPRINT. LOT 3 NEW BATTERIES. You are only allow to checkout once. No exceptions. 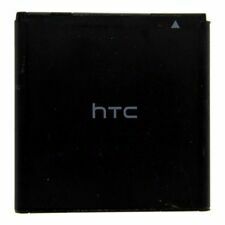 THIS IS FOR TWO GENUINE OEM HTC BG58100. Part Number: BG58100. HTC SENSATION 4G, MYTOUCH 4G SLIDE. WORKS WITH THE FOLLOWING MODELS Other Part Numbers: 35H00150-01M. 2 (two) New 2000mAh Battery. for HTC EVO 3D, Sensation 4G. This is a High Quality Battery for theHTC EVO 3D, Sensation 4G. Smart LED indicator shows charging status. No new cover needed. Cell type: Lithium Ion. ONE New 2000mAh Battery. Capacity : maximum capacity up to 2000mAh. for HTC EVO 3D. 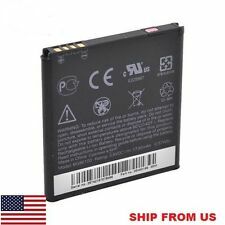 This is a High Quality Battery for theHTC EVO 3D. No new cover needed. Cell type: Lithium Ion. Feature Overview. HTC EVO 3D 4G SPRINT. LOT 5 NEW BATTERIES. You are only allow to checkout once. No exceptions. MYTOUCH 4G. HTC EVO 3D 4G SPRINT. LOT 5 NEW BATTERIES. HTC EVO 3D 4G SPRINT. LOT 100 NEW BATTERIES. You are only allow to checkout once. No exceptions. MYTOUCH 4G. HTC EVO 3D 4G SPRINT. LOT 2 NEW BATTERIES. HTC EVO 3D 4G SPRINT. LOT 10 NEW BATTERIES. You are only allow to checkout once. No exceptions. HTC EVO 3D 4G SPRINT. TITAN AT&T. TITAN 2 AT&T. LOT OF 10 NEW BATTERIES. HTC EVO 3D 4G SPRINT. TITAN AT&T. LOT 5 NEW BATTERIES. MYTOUCH 4G. HTC EVO 3D 4G SPRINT. LOT 10 NEW BATTERIES. HTC EVO 3D 4G SPRINT. LOT 4 NEW BATTERIES. You are only allow to checkout once. No exceptions. HTC EVO 3D EXTENDED DOOR SPRINT. LOT OF 2 NEW EXTENDED BATTERIES EXTENDED DOORS. You are only allow to checkout once. No exceptions. HTC EVO 3D 4G SPRINT. TITAN AT&T. LOT 2 NEW BATTERIES. HTC EVO 3D 4G SPRINT. LOT 2 NEW BATTERIES. You are only allow to checkout once. No exceptions. HTC EVO 3D EXTENDED DOOR SPRINT. LOT OF 3 NEW EXTENDED BATTERIES EXTENDED DOORS. You are only allow to checkout once. No exceptions. HTC EVO 3D EXTENDED DOOR SPRINT. LOT OF 5 NEW EXTENDED BATTERIES EXTENDED DOORS. You are only allow to checkout once. No exceptions. HTC EVO 3D 4G SPRINT. TITAN AT&T. LOT 10 NEW BATTERIES. HTC EVO 3D 4G SPRINT. TITAN AT&T. LOT 3 NEW BATTERIES. For HTC Sensation. For HTC Evo 3D. Digital Energy Desktop Battery Kit. HTC EVO 3D EXTENDED DOOR SPRINT. LOT OF 4 NEW EXTENDED BATTERIES EXTENDED DOORS. You are only allow to checkout once. No exceptions. MYTOUCH 4G. HTC EVO 3D 4G SPRINT. LOT 25 NEW BATTERIES. HTC EVO 3D 4G SPRINT. LOT 25 NEW BATTERIES. You are only allow to checkout once. No exceptions. Compatible Model: For HTC Evo 3D. Category: Cell Phone. Original accessories may or may not be included. REPAIR PART: HTC Battery BG86100. HTC Amaze 4G. HTC Sensation 4G. HTC EVO 3D. HTC Part #: BG86100P/N : 35H00166-00M & 35H00166-02M. HTC EVO 3D EXTENDED DOOR SPRINT. LOT OF 10 NEW EXTENDED BATTERIES EXTENDED DOORS. You are only allow to checkout once. No exceptions. Compatible Models: HTC EVO 3D Sprint Sensation 4G G14 BG86100. Battery Type - Li-ion. We fully understand how critical it is to keep communications as smooth and quick as possible. Many issues could be resolved by themselves thru well communications. HTC EVO 3D EXTENDED DOOR SPRINT. LOT OF 100 NEW EXTENDED BATTERIES EXTENDED DOORS. You are only allow to checkout once. No exceptions. 2000 mah high capacity battery for HTC EVO 3D. HTC - BG86100. HTC AMAZE 4G / EVO 3D / V 4G SENSATION XE. 1 x HTC BATTERY. - HTC Safety Certified.